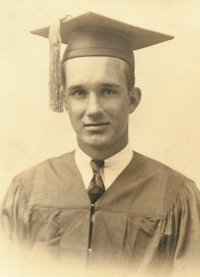 Obituary – Krauleidis, Gerald C. « Perry High School Alumni Association, Inc.
Obituary – Krauleidis, Gerald C.
Gerald C. Krauleidis, Sr., 87, resident of Blackwell passed away Thursday, November 29, 2012 in the Norman Veterans Center, Norman, OK. He was born on August 8, 1925 in Hoisington, Kansas to William George and Sophia (Bamberger) Krauleidis. Gerald requested to be cremated with no service. Arrangements are under the direction of the Trout Funeral Home of Blackwell, Blackwell, Oklahoma. Gerald is survived by his son, Gerald C. Krauleidis, Jr. and his wife, Kay of Ponca City and numerous other relatives.